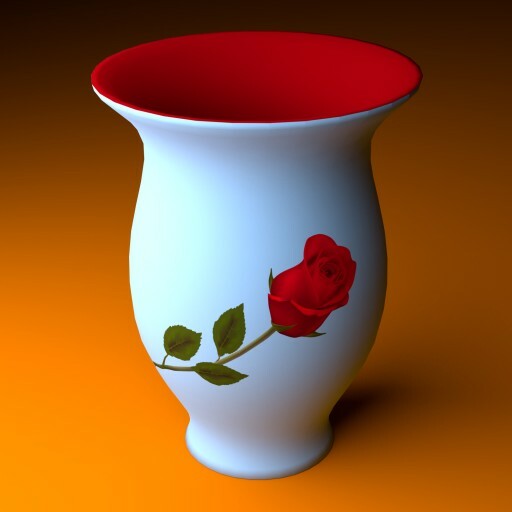 A vase. zip contains two versions. A high poly version and a lower poly version. The rose graphic was found on a clipart site. Very smooth, what program did you use for modeling? Blender? Yes I used Blender. There are about 1400 polygons in that preview image in case you were wondering.